Airport Crime. We all know that passing through the airport controls and scanners is not a fast and easy process. The security on the airport and after that, on the plane, is very important thing and that’s why those controls are that rigorous. However, on the airports work the best professionals and usually everything goes just right, even though sometimes there are people who try to smuggle some things or try to perform a serious crime…Richard, Mark and Julia are police officers that have been called by the officers that work at the airport, to find out some illegal actions made on the airport. Namely, the reason for calling them was the attempt of smuggling some valuable objects. As a matter of fact, there was a group of people who have organized this whole situation. They have organized the whole thing and tried to smuggle a lot of objects but the officers at the airport, managed to catch their trace. However, the officers from the airport have called Richard, Mark and Julie as real professionals, to get to know some information about the smuggling. They will have to start the investigation right away, find out the objects and even find the people who have organized all of this. This is a rather complicated case, so it would be nice if you could help the officers finish their job even more efficiently, and of course, faster. That way the possible damage caused by this smuggling and this airport crime will be smaller. 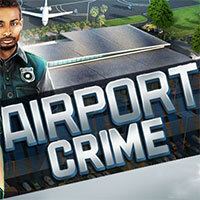 Airport Crime is a free online hidden clues game on Hidden4Fun.